Exactly what Maria said above - so glad you weren't injured even more seriously, and I hope that by this time you are feeling much better. OMG KAREN! Thank goodness you weren't injured far worse. I hope that you are feeling better and that Mr. Karen is taking good care of you. Bruce and Neil send lots of hugs and kisses to help you feel better! 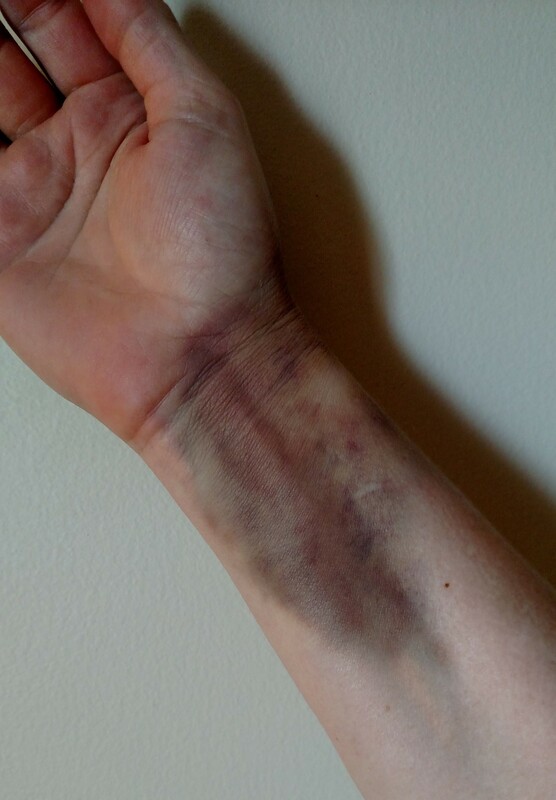 Sorry to hear about your accident; that looks like a really nasty bruise and hope you are on the mend! Yikes! I'm sorry to hear that happened, and I'm glad to know you're on the mend! Dear Karen, hope you'll be back soon.. what a bad story here. that's awful, get well soon! Thanks for the kind words, everyone! I am doing well, going to my doctor for a follow up this afternoon.